Illustration by Alan D. Oldham, Detroit, USA. 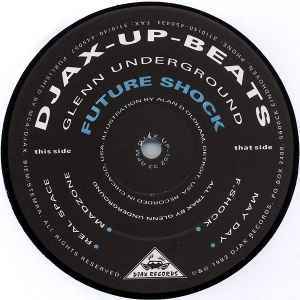 Classic and super good Glenn Underground material. Nevertheless: ESSENTIAL GU release. If you dig the whole Chicago Underground/Bad boys/Armando-Warehouse/Joe Lewis-Target/Tim Harper-scene, you'll like this record. "Madzone" =insane deep track classic.